1. Tsai KY, Chou SJ. 2004. The comparison of radiographic to computerized calculations of the cross-sectional area of the long bone. Taiwan Vet J 30(3): 176-180. 2. Tsai KY, Chou SJ. 2005. Comparison of the area to diameter of pin size by computerized calculations. Taiwan Vet J 31(1): 20-23. 3. 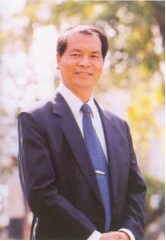 Kun-Yang Tsai, Shih-Jen Chou. 2006. Case report: Cemented total hip replacement for the treatment of canine hip dysplasia in a mongrel dog. J Agric For (NCYU) 3(2):12-19. 4. Maw-Rong Chao, Chih-Hung Hsien, Chia-Ming Yeh, Shih-Jen Chou, Chishih Chu, Yao-Chi Su, and Chang-You Yu. 2007. Assessing the prevalence of Salmonella enterica in poultry hatcheries by using hatched eggshell membranes. Poultry Science 86:1651-1655. 5. Chang-You Yu, Shih-Jen Chou, Chia-Ming Yeh, Maw-Rong Chao, Kwo-Ching Huang, Yung-Fu Chang, Chien-Shun Chiou, Francois-Xavier Weill, Cheng-Hsun Chiu, Chi-Hong Chu, Chishih Chu. 2008. Prevalence and characterization of multidrug-resistant (Type ACSSuT) Salmonella enterica serovar Typhimurium strains in isolates from four gosling farms and a hatchery farm. Journal of Clinical Microbiology 46:522-526. 6. Shih-Jen Chou, Yao-Ching Shieh, Chang-You Yu. 2008. Hematologic and biochemistry values for black-faced spoonbills (Platalea minor ) with and recovering from botulism. Journal of Wildlife Diseases.44(3):781-784. 7. Chang-You Yu, Yi-Wen Liu, Shih-Jen Chou, Maw-Rong Chao, Bor-Chun Weng, Jwu-Guh Tsay, Cheng-Hsun Chiu, Ching Ching Wu, Tsang Long Liu, Chih-Cheng Chang and Chishih Chu. 2008. Genomic diversity and molecular differentiation of Riemerella anatipestifer associated with eight outbreaks in five farms. Avian Pathology 37(3)：273-279. 8. Bo-Si Lin, Tu-Fa Lien, Mao-Rong Chao, Tzu-Yuan Lai, Ju-Chun Chang, Shieh-Jen Chou, Hui-Fen Liao and Robin Y-Y Chiou. 2008. Toxicologicai and nutraceutical assessments of peanut sprouts as daily supplements to feed Sprague-Dawley rats for 18 weeks. J Sci Food Agric 88:2201-2207. 9. C.-Y. Yu, C. Chu, S.-J. Chou, M.-R. Chao, C.-M. Yeh, D.-Y. Lo, Y.-C. Su,Y.-M. Horng, B.-C. Weng, J.-G. Tsay, and K.-C. Huang. 2008. Comparison of the association of age with the infection of Salmonella and Salmonella enterica serovar Typhimurium in Pekin ducks and Roman geese. Poultry Science 87:1544-1549. 10. Chang-You Yu, His-Hsun Wu, Maw-Rong Chao, Shih-Jen Chou, Ruei-Han Yen,Ming-Yang Tsai, Tsai-Tzu Chen, Cheng-Hung Lai, Kuo-Lung Chen. 2008 Comparisons of the hematological values during gestation and lactation in New Zealand White and Rex rabbits. Taiwan Vet J 34 (4):226-232. 11. Han-Ju Tsai, Ming-Jeng Pan, Yu-Hsing Cheng, and Shih-Jen Chou. 2009. Investigation of leptospirosis in dogs with acute renal failure or icterus. Taiwan Vet J 35(1):36-42. 12. Chang-You Yu, Shih-Jen Chou, Jui-Te Wu, Kai-Yang Lin, Kun-Wei Chan, Yao-Chi Su, Chean-Ping Wu, Jyh-Mirn Lai. 2011. The relationship of alkaline phosphatase and the reproductive activity in dairy goats. Taiwan Vet J 37(3):152-158. 13. Shih-Jen CHOU, Jui-Te WU, Pei-Ju LIAO, Hsiao-Chun HUANG, Kai-Ting WANG, Hong-You CHANG, Yao-Ching HSIEH, Chou-Chuan LEE, Jiann-Hsiung WANG, Kun-Wei CHAN. 2012. Epidemiological Survey of Tick-borne Disease of Stray Dogs in Yun-Chia-Nan Areas in Taiwan. Taiwan Vet J 38(4):276-282. 14. Shih-Jen CHOU, Huei-Ting LIN, Jui-Te WU, Wei-Cheng YANG, Kun-Wei CHAN. 2013. Genotyping of canine parvovirus type 2 VP2 gene in southern Taiwan in 2011. Taiwan Vet J 39(2):81-92. 15. Kun-Wei Chan, Tsung-Ying Ping, Shih-Jen Chou, Zhi-Jia Zheng, Wei-Cheng Yang, Jyh-Mirn Lai, Dan-Yuan Lo, Chih-Cheng Chang, Jui-Te Wu. 2013. Case report: Treatment of an eiderly dog with concurrent heart disease and acute uremia by hemodialysis. Taiwan Vet J 39(3): 150-157. 16. Kun-Wei Chan, Huei-Ting Lin, Tsung-Ying Ping, Zhi-Jia Zheng, Li-Wei Kuo, Hsien-Chien Hsiao, Shih-Jen Chou, Dan-Yuan Lo. 2013. Case Report: Feline infectious peritonitis in a cat. J. Agric. For. (NCYU) 10(2):83-95. 陳小明、吳玫慧、劉怡玟、余章游、周世認、趙茂榮、朱紀實, 2004, 11月,比較鵝與鴨孵化蛋蛋膜沙門氏菌之污染, 第一界沙門氏菌研討會, P18. 余章游、劉怡玟、林立、周世認、趙茂榮、朱紀實, 2004, 11月,水禽沙門氏桿菌流行病學及預防, 第一界沙門氏菌研討會, P7. 余章游、劉怡玟、林立、周世認、趙茂榮、朱紀實, 2004, 12月,水禽飼養場以及孵化場沙門氏菌抗藥性分析, 獸醫學會聯合年會暨學術論文發表會, P96. 余章游、周世認、劉怡玟、朱紀實, 2005, 12月,利用分子檢驗方法檢測及分類Riemerella anatioerstifer獸醫學會94年度年會暨學術論文發表會, P98. 周世認、邱亭瑋、趙茂榮、謝耀清、余章游, 2006, 5月, 黑面琵鷺感染肉毒桿菌症之血液學與血液生化學分析, 台灣省畜牧獸醫學會九十五年度春季學術研討會。P56. 邱敏蕙、余章游、周世認、趙茂榮, 2007, 5月, 抗微生物質對小鵝腸道中乳酸桿菌樣菌及大腸菌狀組族群數的影響, 台灣畜牧獸醫學會會報九十六年度春季學術研討會, p.45. 余章游1、周世認1、趙茂榮1、黃國青3、葉佳銘2、邱乾順4、張文興5、邱政洵6,7、朱紀實2, 2007, 5月, 沙門氏鼠傷寒桿菌在雛鵝的感染和傳播, 台灣畜牧獸醫學會會報九十六年度春季學術研討會, p.49. 余章游* 、謝志宏*,†、葉佳銘‡、周世認*、趙茂榮*、蘇耀期*、朱紀實‡, 2007, 5月, 使用蛋膜來評估家禽孵化場之沙門氏桿菌的發生率, 台灣畜牧獸醫學會會報九十六年度春季學術研討會, p.49. Chang-You Yu, Shih-Jen Chou, Maw-Rong Chao, Dan-Yuan Lo, Yao-Chi Su, Chishih Chu, 2007, 12月, Salmonella prevalence and pathogenesis of Salmonella enterica serovar Typhimurium in young water fowls, 獸醫學會九十六年度聯合年會暨學術論文發表會, p.88. 邱亭瑋、余章游、趙茂榮、周世認。 2007, 12月, 評估Povidone-Iodine對鵝雷氏桿菌防疫效率與安全性, 獸醫學會九十六年度聯合年會暨學術論文發表會, p.65. Shih-Jen Chou,. 2013. An Emerging Zoonotic Disease in Taiwan- Feline Leptospirosis. 2013兩岸獸醫教育、科研及產業發展研討會. P. 42-48. 陳怡樺、李宗賢、詹孟羚、張文炳、王建雄、周世認、吳永惠、楊瑋誠。2013，6月。Selection of reference genes for quantitative RT-PCR studies in Beluga Whale (Delphinapterus leucas ) blood 。中華民國獸醫學會102年度春季聯合學術研討會，p.23. 兵宗穎、詹昆衛、蔡宜倫、周世認。2014，5月。Rapid detection of genus Bartonella using loop-mediated isothermal amplification method。中華民國獸醫學會103年度春季學術研討會，p.39. 范明惠、詹昆衛、鄭智嘉、周世認。2014，5月。Study on the correlation between SPINK1 and PRSS1 gene polymorphisms, hypertriglyceridemia and canine pancreatitis。中華民國獸醫學會103年度春季學術研討會，p.75.